FRANKFURT, GERMANY – SEPTEMBER 12, 2017 – HARMAN International, a wholly owned subsidiary of Samsung Electronics Co., Ltd. today announced Groupe Renault as an exclusive reseller partner for the French language version of the Navdy with HARMAN Head-up Display (HUD). The new partnership will see Groupe Renault sell the new French-language version of Navdy with HARMAN via its dealership network in France. 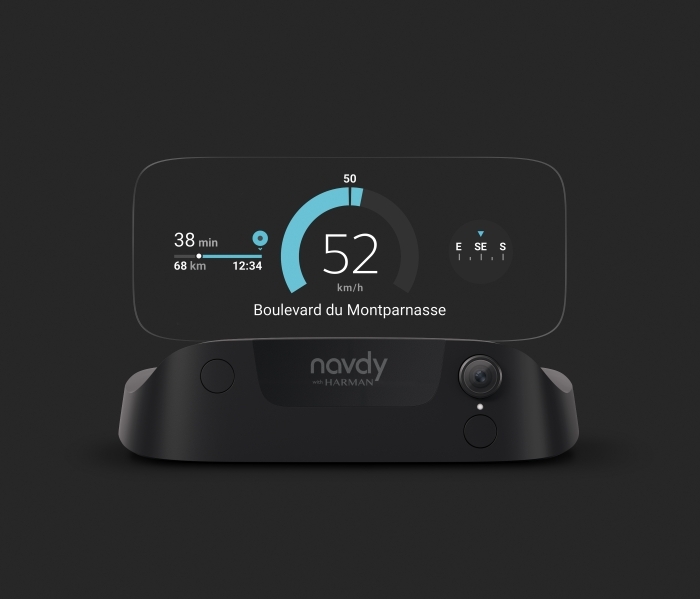 Navdy with HARMAN, a product developed by San Francisco-based company Navdy Inc., provides drivers of both new and used cars in France a new type of driving experience that projects smartphone and car information— including maps, texts, app notifications and music directly over the road ahead, allowing them to stay focused on driving without looking down at their phone. 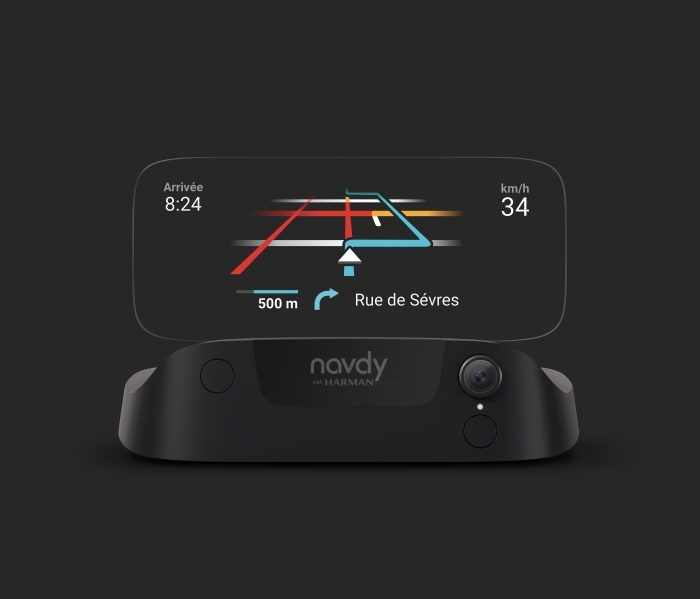 Navdy with HARMAN will allow French-speaking drivers to benefit from the first head-up display that leverages augmented reality technology. It is controlled via simple hand gestures, voice control or a specially engineered steering wheel-mounted dial. This enables drivers to easily accept calls, text messages or notifications, navigate menus quickly to find destinations, points-of-interest and share trip information with friends and family, all while keeping their eyes on the road. Navdy’s built-in navigation system features live traffic with dynamic rerouting powered by Google Maps®. 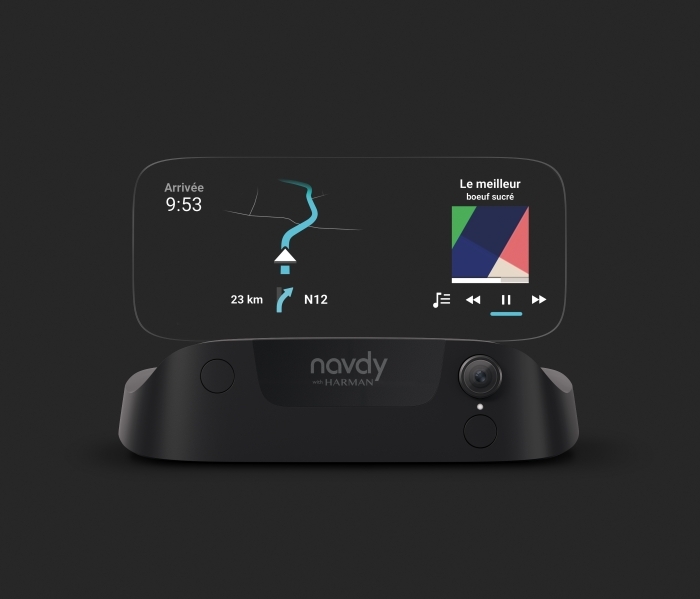 Navdy with HARMAN is a dashboard mounted HUD that can be paired with both Android and iOS smartphones. Once paired via Bluetooth it provides users with access to Siri® and Google Assistant®— further helping drivers perform simple tasks without taking their eyes off the road. 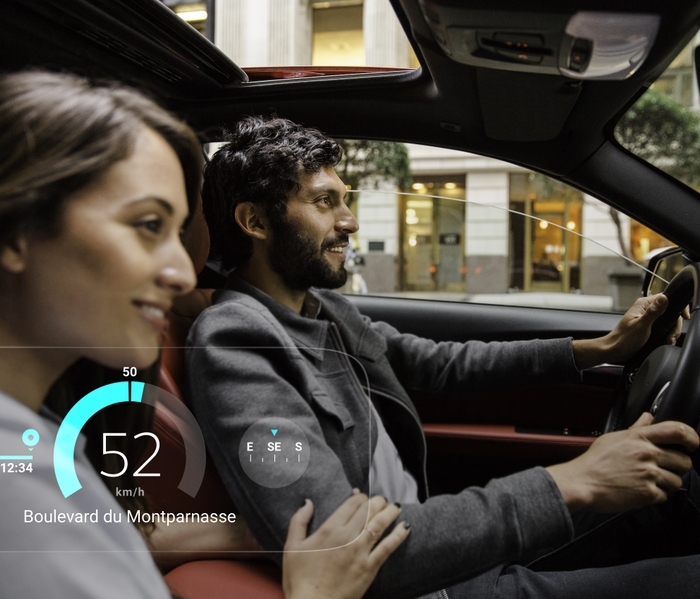 Launching this October, the French language version of Navdy with HARMAN will be exclusively available from Groupe Renault and can be installed in any car, including those from Renault and Dacia. 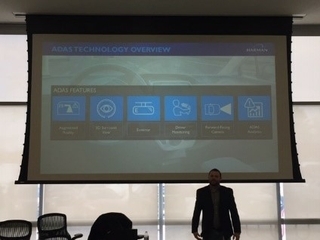 Navdy developed the first driving device that leverages augmented reality to create a better and safer driving experience. 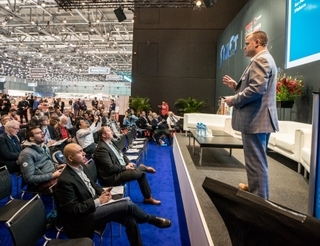 In 2016, HARMAN partnered with Navdy and have the exclusive rights to sell a co-branded, aftermarket Navdy with HARMAN head-up display to automotive OEMs, specialty auto/audio and select mobile carrier channels globally. The Navdy with HARMAN device will be available in France starting next month and will be available in Germany, Spain and Italy from early 2018. 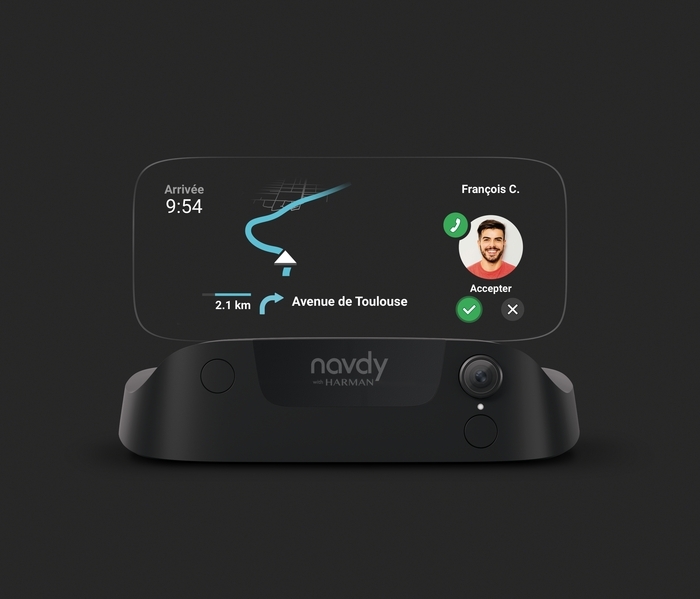 Navdy created the world's first Augmented Driving (AR) Display for your car that lets you Look Forward© while Staying Connected©. The company's mission is to reinvent the driving experience and to make driving something you Look Forward to again. In 2013, Navdy set out to fundamentally change the way you use technology in the car and to create the type of product that makes you immediately wonder how you ever lived without it. Navdy is more than a new display, more than a new UI, and more than a new platform for apps -- it's an experience and one the company hopes you enjoy every time you get behind the wheel. 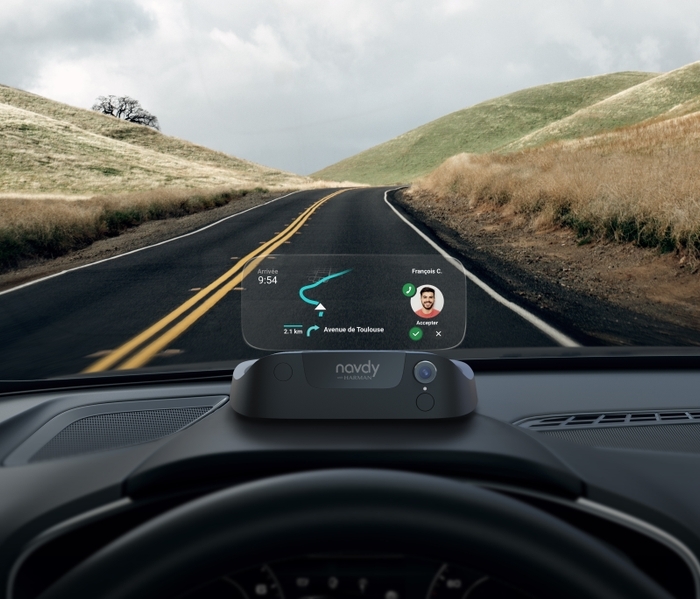 Navdy has received several awards and recognitions including PCMag.com Editor's Choice, Men's Health Editor's Choice for CES 2017, CES 2017 Innovation Honoree for Augmented Reality and Vehicle Intelligence and Red Dot Award for Product Design. To learn more, visit www.navdy.com.